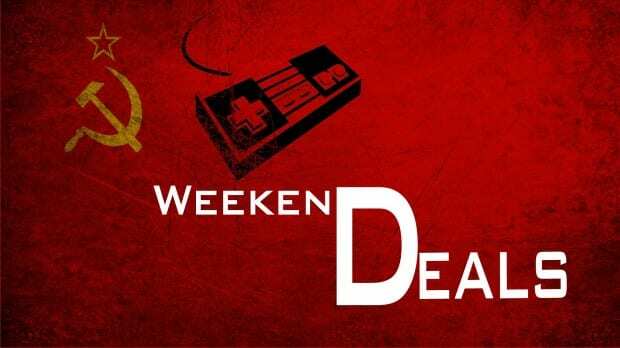 Games for the Masses is back to give you the heads up on the good deals on the weekend! Check the links below to see what we think are some of the best sales. Steam–Borderlands is half off! Yes, you can net yourself a copy of Borderlands II for $30, and Borderlands: Game of the Year Edition for $8). If you’ve never played Gearbox’s multiplayer loot-grinder, you’ll get a big discount this weekend. It looks like DLC is not included, unfortunately, but you’ll get plenty of fun content anyways. Good Old Games–With Tomb Raider coming out early next month, it’s not really much of a surprise to learn that Square Enix is putting a lot of Lara Croft’s previous Tomb Raider games are on sale, but you’ll also get discounts on older Hitman games and the first two Deus Ex titles. Not good enough? You can also score a complete Thief set for less than $15 bucks. Amazon–Assassin’s Creed 3 is the big deal on Amazon this weekend. The deal isn’t amazing (only about 33%) but if you’ve been waiting for a sale this might be your chance. Big qualifier: only physical discs are on sale, meaning you can’t get a download copy through steam. Disappointing, but at least the discs are available with Amazon prime. GameFly–Two big deals here this weekend. First, you can get a digital download of Crysis ($8) and Crysis 2 ($10). These are both fantastic shooters, and with the upcoming release of Crysis 3 you might want to consider giving these a run–you’ll save a bit by buying the package. The other major deal will take you to the fantasy world of Dragon Age if you score copies of Dragon Age: Origin Ultimate Edition ($8) and Dragon Age II ($5). These are both quality RPGs, even if there was a bit of a reduction in scale between Origins and it’s sequel. If you’re looking for hours and hours of gameplay, Dragon Age will serve you well. That’s what I could find this weekend. Think I missed an important sale? Get a hold of us at twitter and let us know where the deals are at! Until next time, game on comrades!